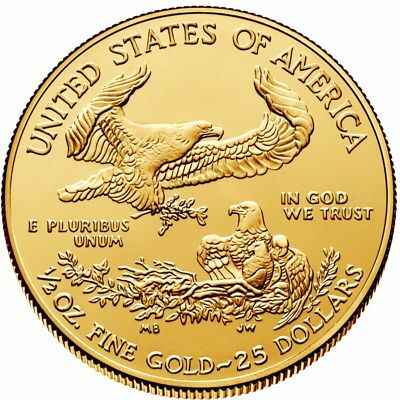 American Eagle Gold bullion coins are minted in durable 22 karat Gold. Each coin contains its full stated weight in pure gold, which by law, must be taken from mined sources in the United States. 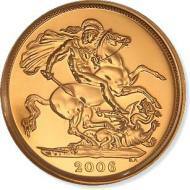 The obverse side of the 1 oz. 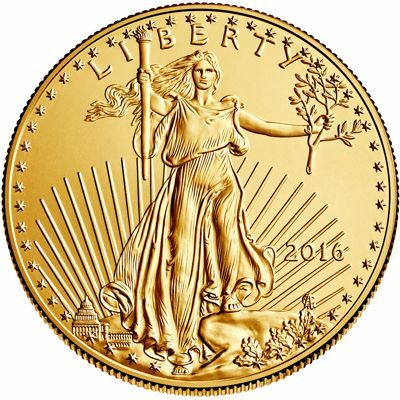 American Eagle Gold Bullion Coin is based on world-renowned American sculptor, Augustus Saint-Gaudens’ design for the prized 1907 $20 gold coin. The design depicts Lady Liberty in a flowing gown with her hair blowing in the wind as she stands proudly over the U.S. Capital which is in the lower background. 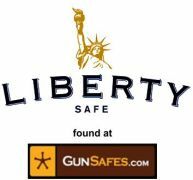 "LIBERTY" is inscribed above Lady Liberty, across the top of the bullion coin. 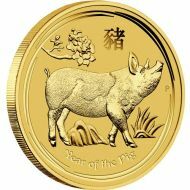 The coin's Year of Issue is found below the olive branch. 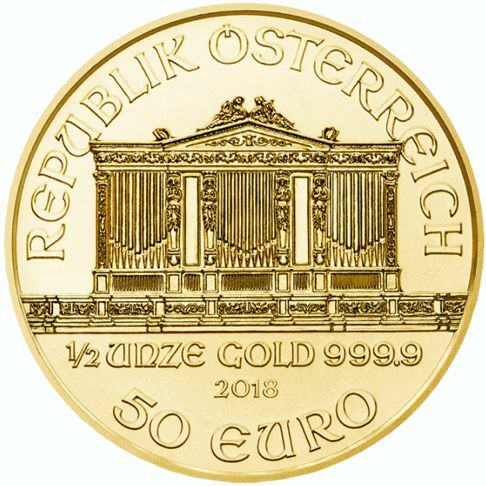 The Edge of the gold eagle coin is Reeded. 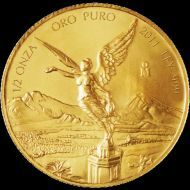 The reverse side of the Gold bullion coin depicts a father eagle descending onto his nested family of eagles with olive branches in his talons. The design symbolizes American tradition and unity; it was designed by Miley Busiek (now Miley Frost). 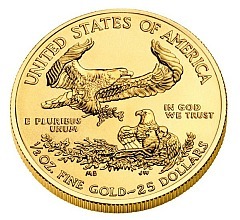 Displayed across the top of the gold bullion coin are the words "UNITED STATES OF AMERICA." Along the bottom of the coin is its Weight, Purity, and Face Value "1/2 OZ. FINE GOLD~25 DOLLARS." The reverse side also displays two common phrases seen on American currency; "E PLURIBUS UNUM" and "IN GOD WE TRUST." Underneath the nesting family of eagles are the initials "MB" which are the initial's of Miley Busiek, and the initials "JW" the who was the original engraver of the coin (the name 'JW' is unknown at this time). 1/2 oz. American Gold Eagle Photos Courtesy of : The US Mint.